Please note that all information regarding flood management in Cumberland is being coordinated through the City of Ottawa. Find information here http://ottawa.ca/en Updates on volunteer and supply requirements are being updated on FB page Cumberland Community and Cumberland Ontario. The details of the proposed tax on stormwater are contained in the links below for residents to read. The CCA is reviewing the proposals and welcome your feedback which we can incorporate into our response to the proposal. The Agenda & Minutes from our Annual General Meeting have now been posted! Click here to review them and be sure to send us any comments or suggestions! It is with great excitment, enthusiasm and anticipation that the Cumberland Community Association welcomes Ze Kitchen to Cumberland VIllage. CCA is working on guidelines for long-term development in Cumberland. This project is an extension of the Community Vision exercise (2008-2011) and the Updated Secondary Plan for Cumberland Village (2011). Through the planning exercises, Cumberland residents told us they are proud of where they live, value nature and the outdoors and the small-town pace of life. At the same time, new commercial and residential growth would help make our village more sustainable. Ottawa – The Ottawa 2017 Bureau and Mayor Jim Watson, in collaboration with lead partner CIBC, invite Ottawa residents to become volunteers for Canada’s 150th anniversary celebrations in the nation’s capital. Ottawa – Ottawa Fire Services is placing a city-wide fire ban into effect immediately to prevent the rapid spread of fire due to grass and brush fires. This ban will remain in place until conditions improve and the green grass starts to show through dead tall grass. Ottawa Public Health (OPH) has established permanent sites across Ottawa where well owners can drop off their water samples and pick up new bottles for future testing to make it more convenient for residents living on residential well systems to have their well water tested for free. As part of the improved program, residents can drop off their water samples every Tuesday at one of these locations (see chart below). In the spring of 2015, Robert and Hilary Merritt created an organization called Cumberland Cares that would raise money to help a number of charity projects in the Dominican Republic. The intent was to create a group willing to travel to the island nation to build a home and provide funds to other needy causes. 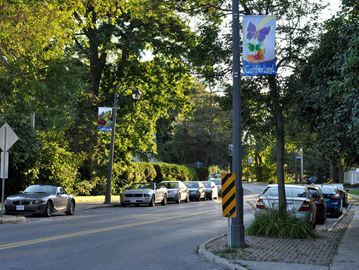 Furthermore, they wanted the funding for the home and other projects to come from the community of eastern Ottawa as a way to connect residences with a common goal.